Living A Whole Life, With Integrity . . Think about all the ways we compartmentalize our lives, easily and willfully. We can often even seem to be different people in various places and with certain others. It is surely a source of difficulty for us when we develop the habit of being one person in one situation and another for others. How can we learn to be authentic, to know our true worth and to respect who we are if we’re always morphing the “who” for the sake of the where, when or why? To be the most authentic, self-aware and self-fulfilled soul, we must learn to develop a foundation of beliefs, values and character traits which affirm our essence from the inside out. We might evolve through those aspects, beliefs and values as we mature; but we stay firmly tethered to all of that as a means of not losing our way in life. When we compartmentalize our beliefs, values or alter our character to suit the situation or to fit in with others, we erode our own sense of assuredness in who we are! 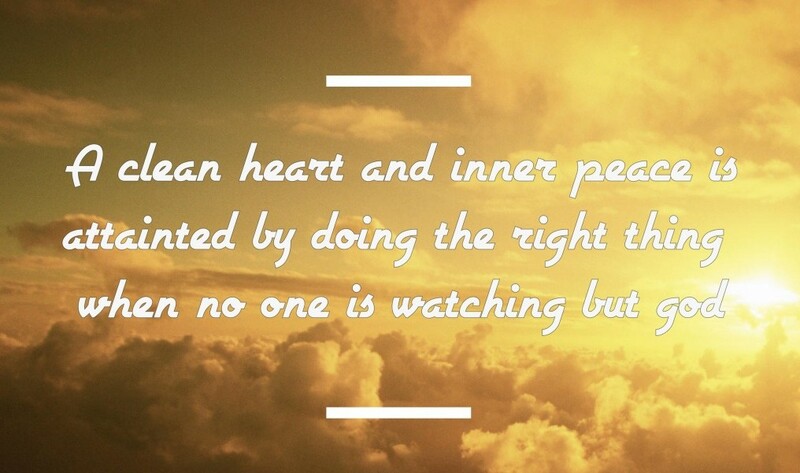 That is our integrity, the truth we know about ourselves. And that is a terribly high price to pay for wanting to fit in or for wishing we were cool! Staying true to ourselves is the one parameter we must never cease in upholding; for when we do, we also cross an infinite continuum of others! If we lie to ourselves, if we will compromise our own virtue, if we will cede our own respect and if we will not love ourselves enough to protect our being, then we surely won’t do that for others or feel the need to give them the same manner of respect! So the importance of holding firmly with discipline and self-control into a set of parameters whereby our lives by action, word, thought and deed affirm what we’ve stated or postured about our beliefs, values and character is imperative to our health, well-being and overall survival. People say, “But it’s just this once!” or “I don’t think it will matter in the long run!”, or “what difference does it make what I do?” But what those people don’t imagine is the price paid each and every time they erode from within the measures by which self-esteem, self-respect and self- assurance maintain integrity! When integrity is lost, all is lost! So no matter what we might think of small diversions from our true selves, they are long-lasting, impactful and often detrimental to our long-term peace of mind and inner contentment! Guilt, shame, self-abasement and all sorts of consequences come upon a soul burdened by a lifetime of baggage which was brought on one’s self. With wisdom comes the manner by which we learn to be unified in character and purpose through all areas of our life, we learn that we cannot be one thing in this area and another over here. We must be authentic and committed to being exactly what we believe, think and know we are, in every situation and in every aspect of our lives!